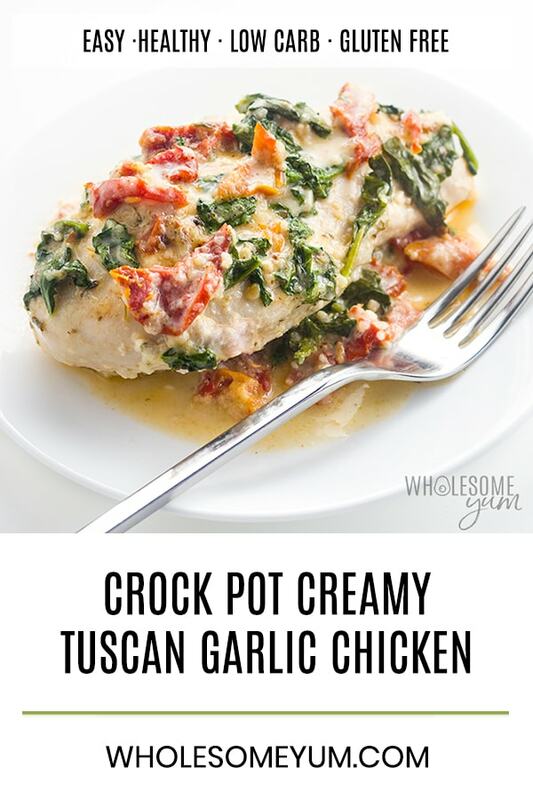 Tuscan Chicken - Wood Palace Kitchens, Inc. This was meant to be a crock pot, “keto” recipe, but it burned badly in the pot while I was out, so I revised it to be baked in the oven, and it’s yummy! Season the chicken breasts with the Italian seasoning, salt and pepper. Place in a lightly greased pan. Bake at 350 degrees for 25-30 minutes, until cooked through. Meanwhile, heat oil in a medium saucepan over medium heat. Add the garlic and saute for about a minute, until fragrant. Just before serving, add the spinach to the sauce and stir until the spinach is wilted. Serve the sauce over the chicken. Enjoy. This entry was posted in Recipes on April 11, 2019 by wpalace.